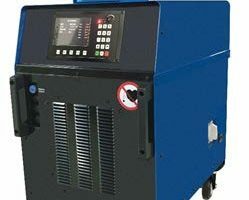 HM -induction coils are designed for Heatmasters´inverters HM30, HM30A and HM31. Induction coils are delivered in ready-to-use -lengths or to order. The maximum length of a coil is 5 metres. 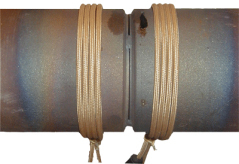 Induction coils in preheating When using an inductive coil in preheating, it is wrapped around the pipe without any insulation. The coil can be protected against the welding spatter with insulation cloth. When doing a post-weld -heat treatment, the pipe is first insulated with 20 mm -thick ceramic blanket. After that the coil is wrapped around the pipe. The coil is heat resistant up to 400 °C.